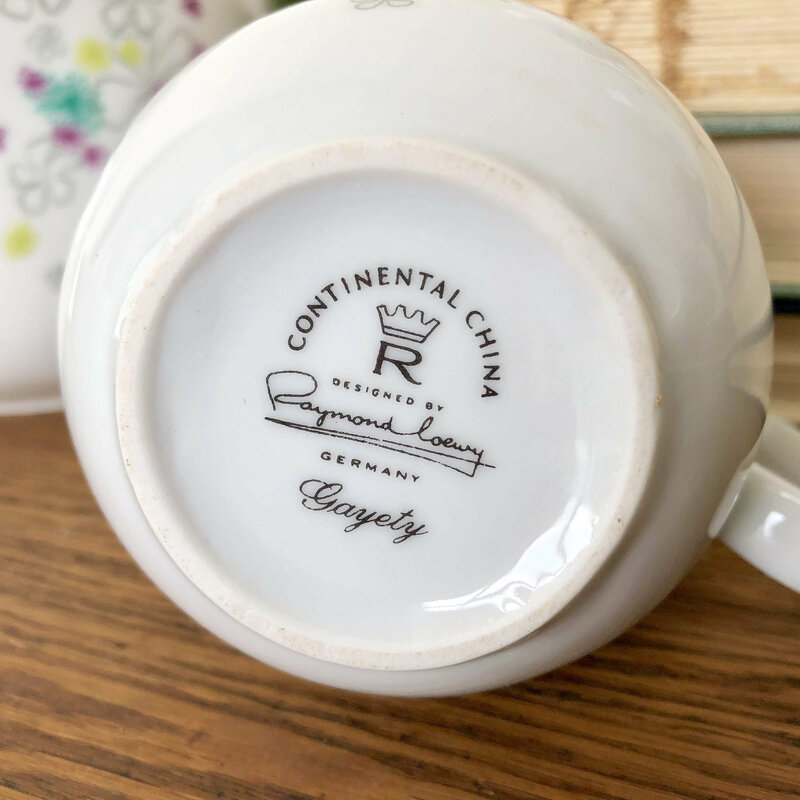 This delicate vintage tea set from the Mid Century Modern era is designed by Raymond Loewy for Continental China. 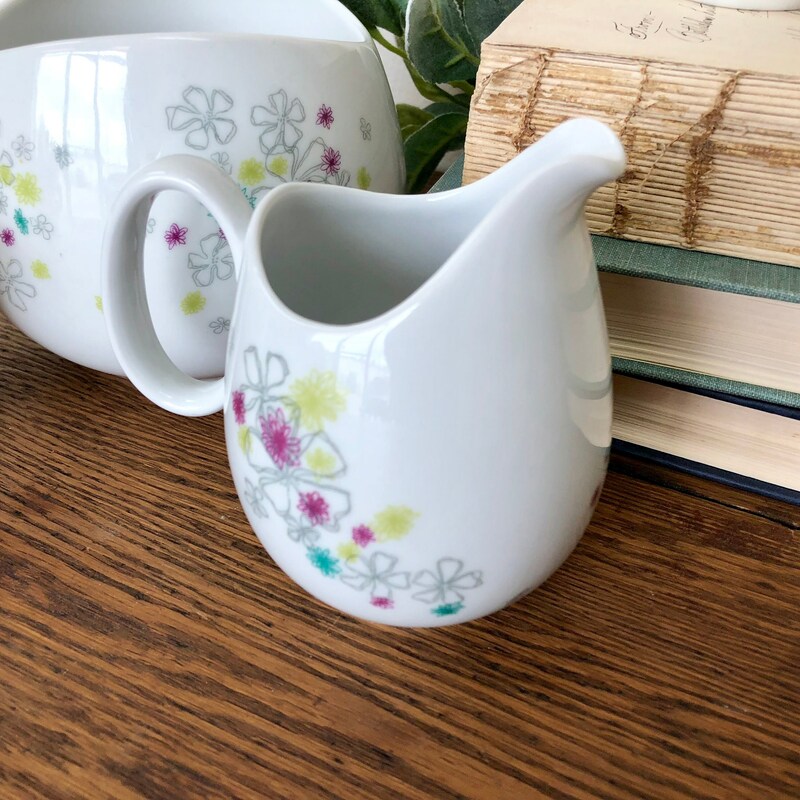 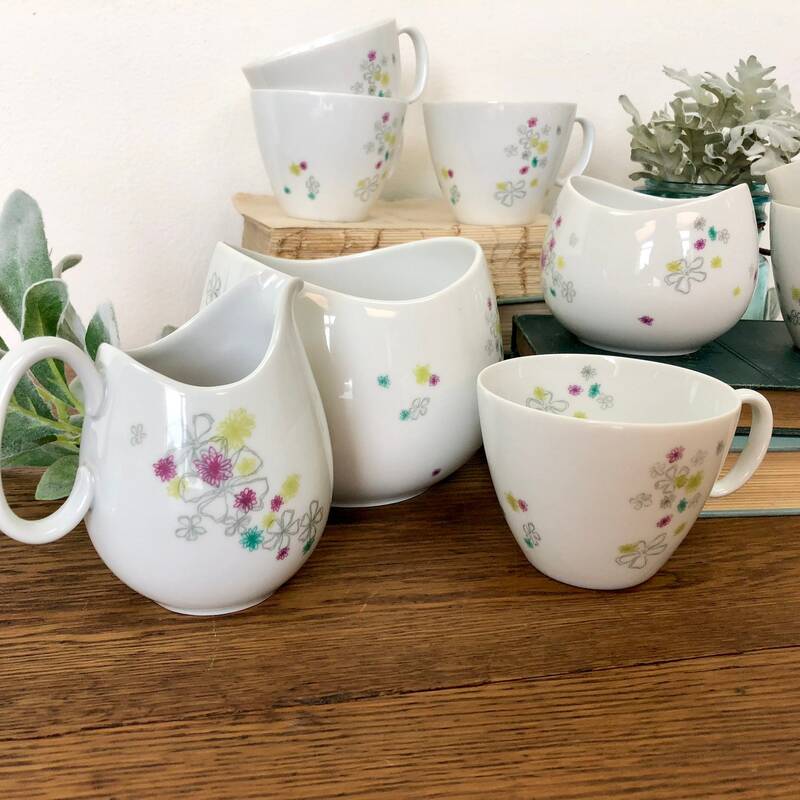 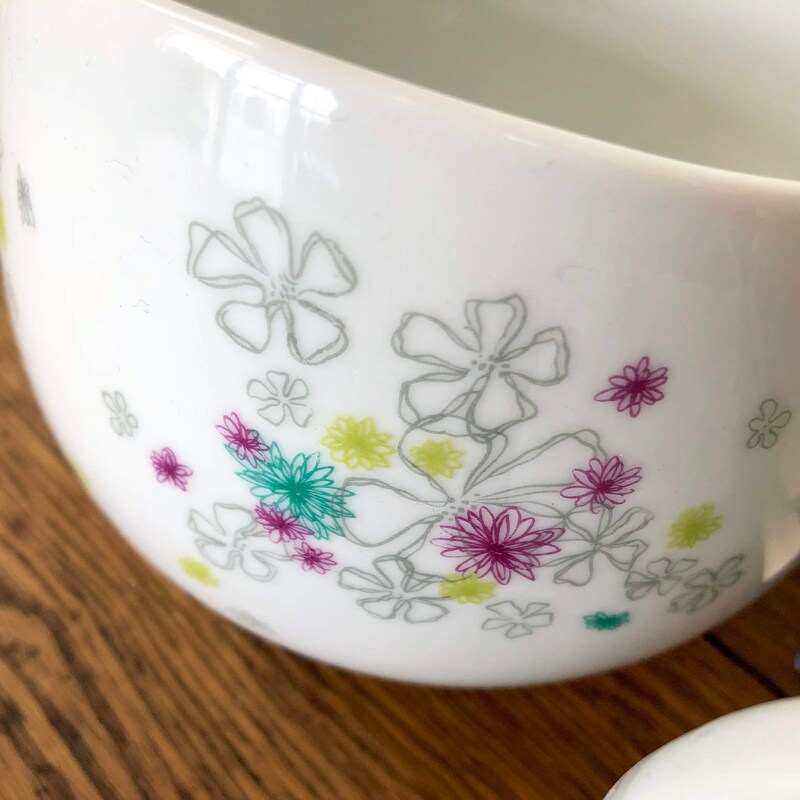 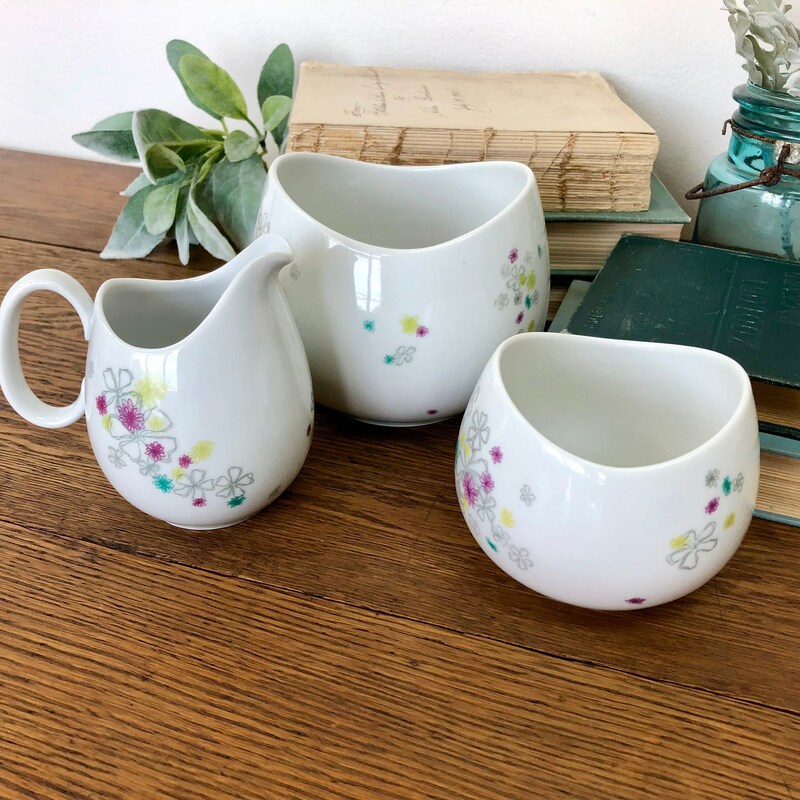 The Gayety is an adorable pattern consisting of various size and shape flowers in gray, pink, green and teal. 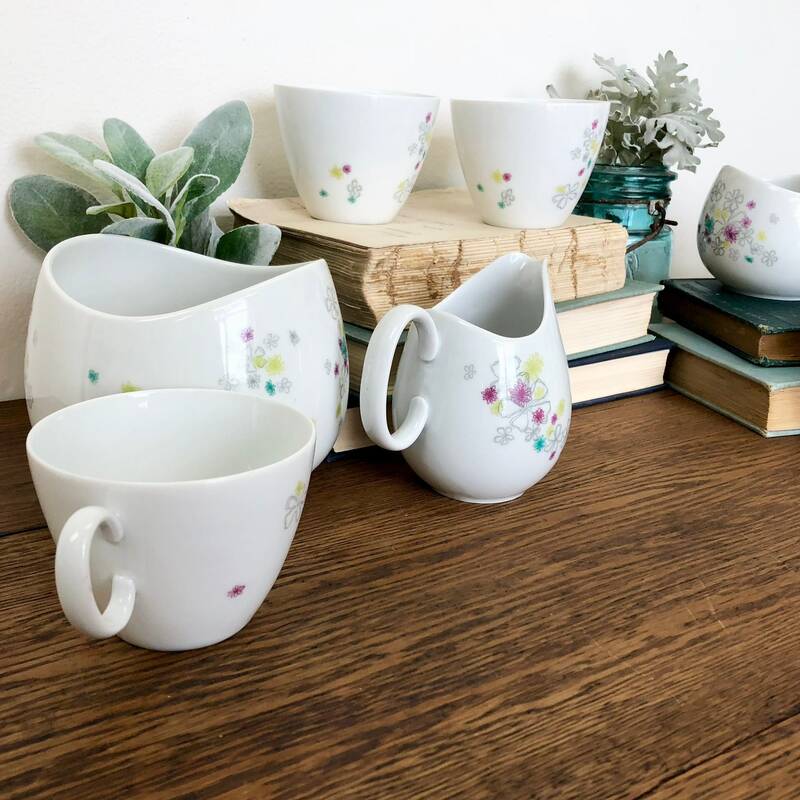 Fine German china teacups including a sugar and creamer set. 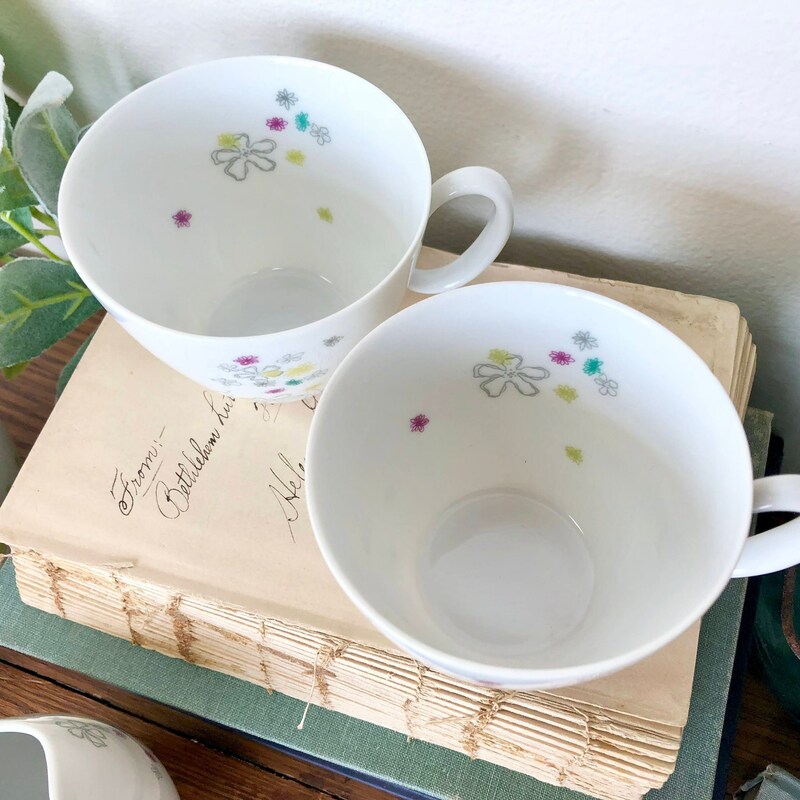 There are six porcelain teacups without saucers, and one of the cups has a not so noticeable chip in the rim of it. 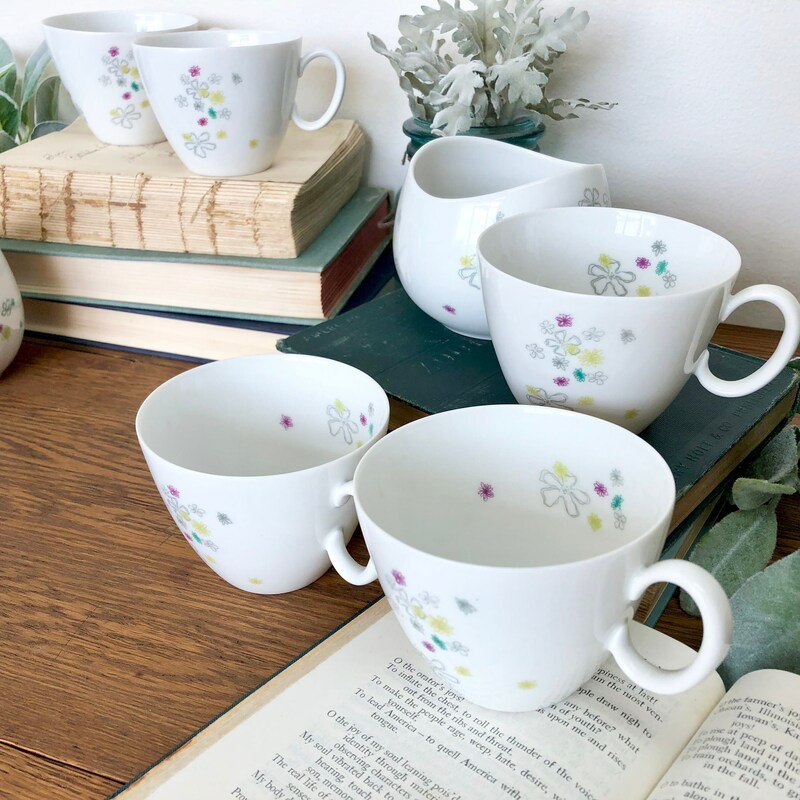 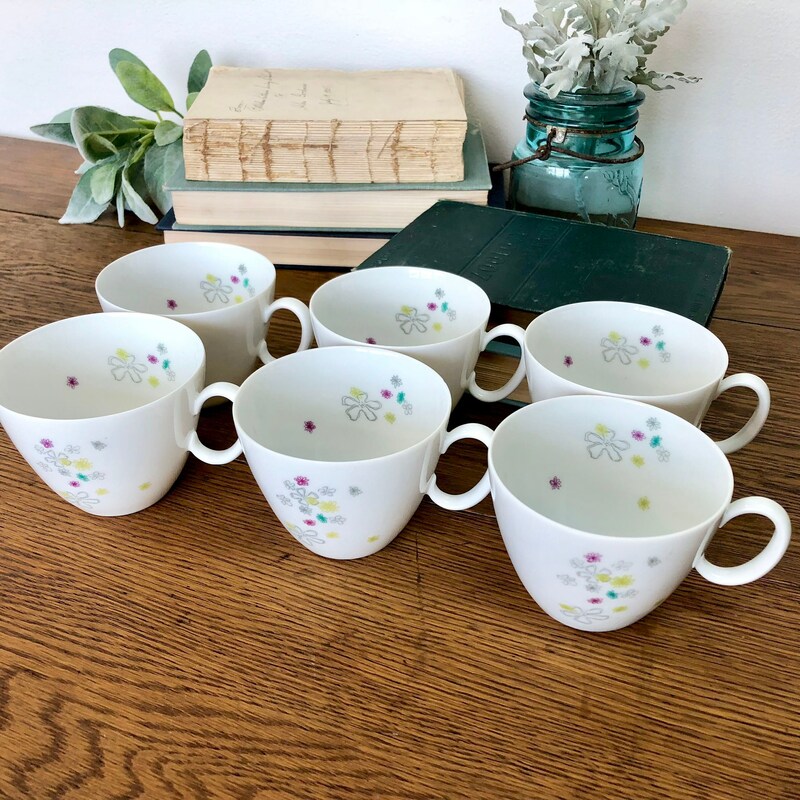 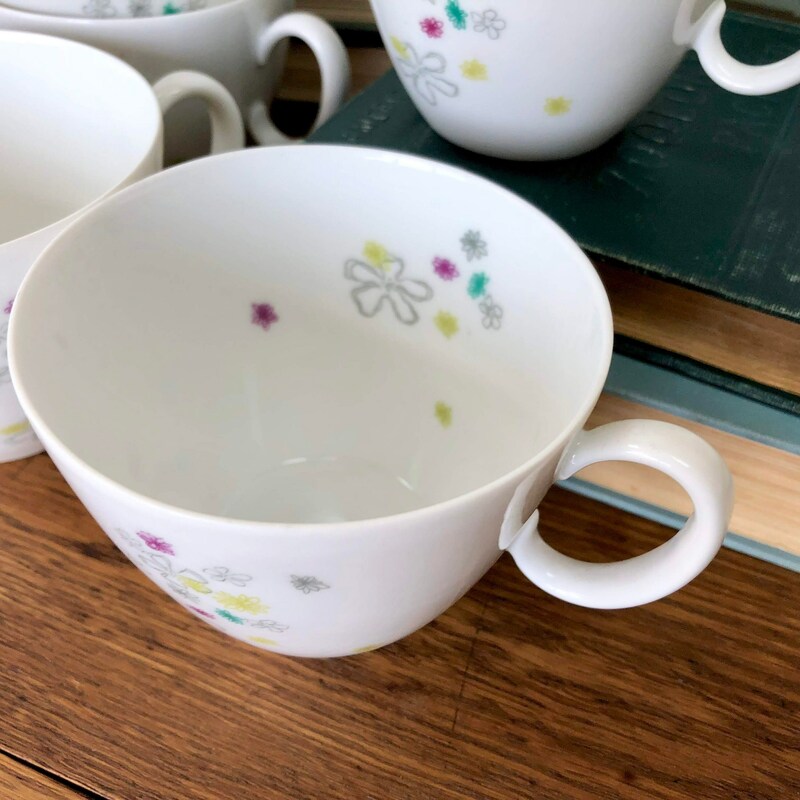 The teacups have some of the flower pattern on the inside of the cups.